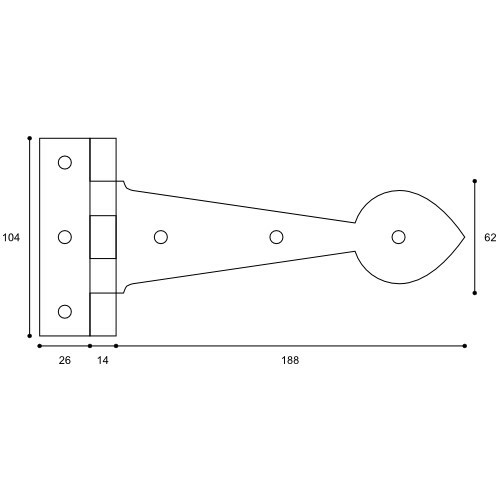 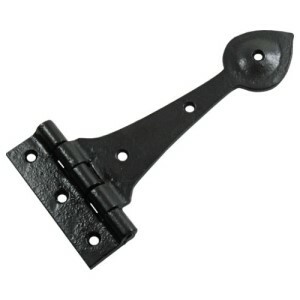 A classic, strong pattern black iron Tee Hinge design suitable for lightweight doors up to 24" (610mm) wide and an ideal choice for narrow ledged and braced larder or pantry doors etc. 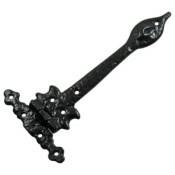 Forming part of our Wealden Black Iron range this hinge is manufactured in Britain using traditional casting techniques and finished in Birlin Black for a truly authentic look and feel. Birlin Black is a hard wearing, durable paint finish suitable for both internal and external applications in normal conditions. 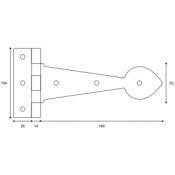 However, we DO NOT recommend this product for coastal areas or other harsh environments.